Laurel Herter Design Studio is a nationally recognized architectural stained glass studio. We create contemporary and traditional glass designs for commercial, public, residential and religious settings using a variety of glass techniques. 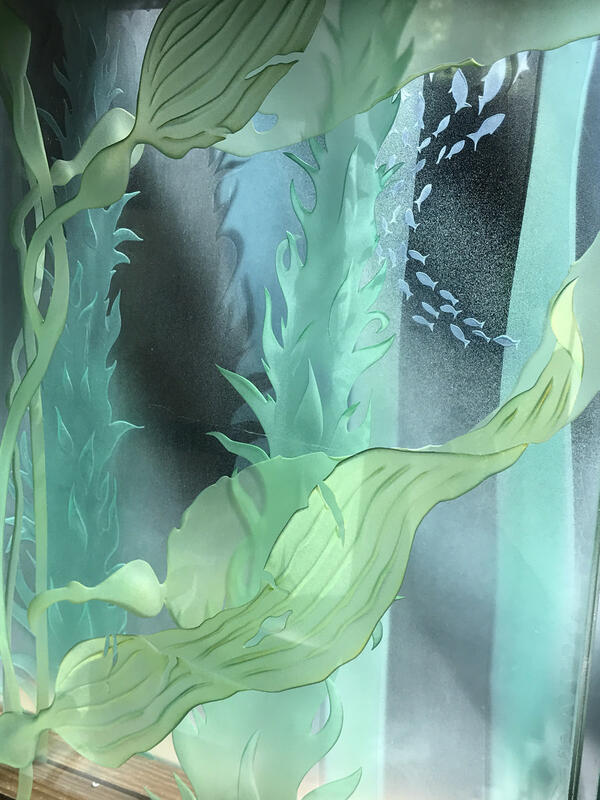 From carved and sandblasted privacy walls in an ultramodern home to stained and leaded glass church windows using old world craftsmanship, our glass art explores all possibilities to yield the best creative solutions for our clients. Our studio team designs and fabricates complete entry systems, windows and window walls, doors, skylights and lighting elements that transform their inner spaces with dazzling light, brilliant colors and luminous shadows. We also design one-of-a-kind pieces such as carved glass table tops, gates and railings, fireplace screens and beveled and jeweled cabinet windows. We pride ourselves on our innovative designs, precise craftsmanship and ability to work collaboratively with our clients, providing quality work that is delivered within budget and on time.